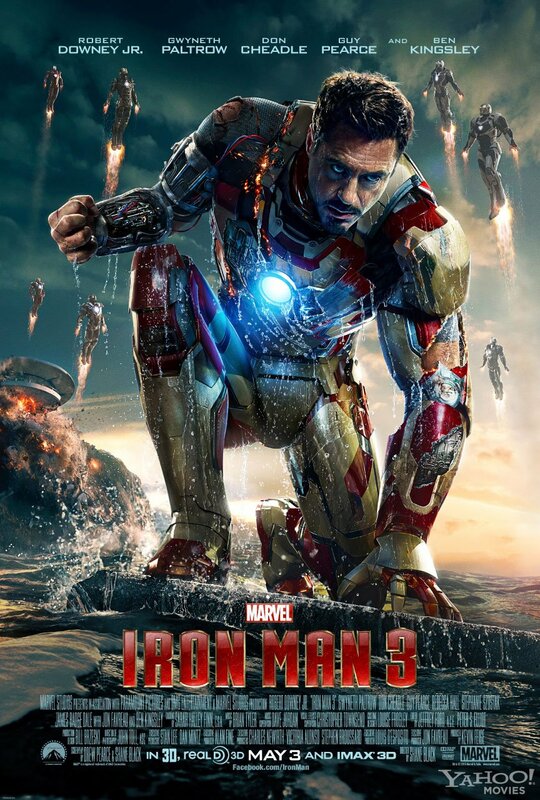 Iron Man 3 is, as the title suggests, the third movie of the Iron Man series. Robert Downey Jr. returns as the titular superhero who learns not to spurn a meek-seeming scientist, Aldrick Killian (Guy Pearce). He gets pulled into fighting a "terrorist" organization manufactured by Killian in order to cover up an unintended side effect of his development, it makes people explode. The intended effects of the drug, enhanced strength and near-invincibility, make Killian a formidable opponent, though. One that finds Tony enlisting the help of a young child in order to defeat. I'm a bit of a superhero movie junkie, but this was not my favorite of those films, even in a year with several disappointments. 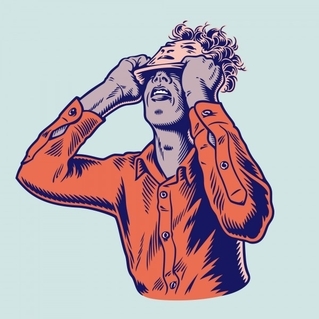 You need to be able to suspend disbelief when watching movies, but at times I found that difficult to do here. First, was that the highly customized suit was able to fit on Penny (Gwyneth Paltrow) in one scene. Then, some kid was somehow able to help Tony repair his suit. There were some great actors here, but they couldn't save the movie. AWOLNATION - "Some Kind of Joke"
Crocodiles has been on my radar for a couple of years, but I've never really listened to their music. This is surprising (to me, at least) considering their connection to other loved bands like The Soft Pack and the Dum Dum Girls (the lead singer, Brandon Welchez is married to Dee Dee Penny of the Dum Dum Girls). They have a sound that's somewhat similar to both bands, but theirs is much noisier and unhinged (a bit like early Black Lips). Now, I guess I just need to start checking out some of the other related bands! 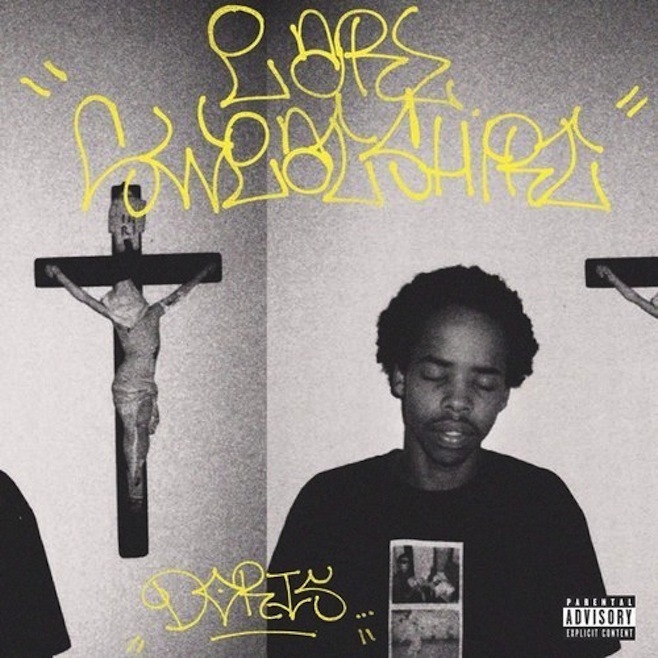 There's been a lot of hype around the Odd Future rap collective, but perhaps none more than for Earl Sweatshirt (maybe aside from Frank Ocean). Some of it is due to a delay in his career. After releasing an acclaimed mixtape in 2011, he was sent to boarding school in Samoa due to behavioral issues. He returned last year in almost full force. He was featured on several other Odd Future releases (including Frank Ocean's awesome album). A full-length release from him has been slow-coming, but I'm excited it's finally here! After the raucous rock and hip hop in this week's releases, you may be surprised to learn that I also enjoy more low-key music. 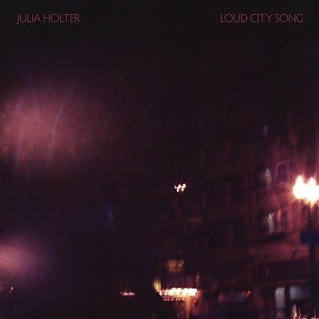 Julia Holter is just one of those artists. Her music is intricately composed and ethereal; the result is really quite gorgeous. She caught my attention last year with the song and video for "Goddess Eyes II;" I loved the way that the song was layered. This is already being considered a great album by several publications, so I'm sure that my love of this artist will only grow more. OK, so we can have a little more low-key this week. 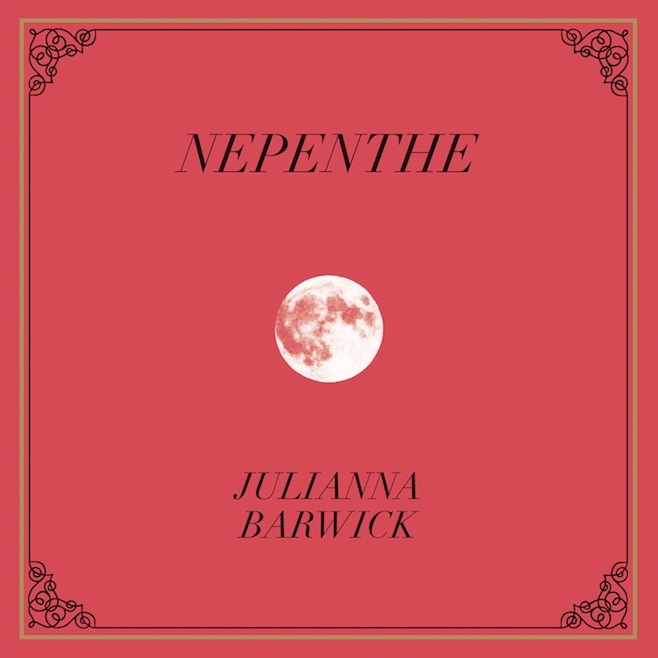 Julianna Barwick has a similar name and sound to the previous artist. She, however, relies much more on looping to create her sound, which, despite the use of her voice, comes off much more instrumental. I'll be honest, I first checked her out because I was getting confused between her and Julia. Once I discerned the difference, though, I came to love her just as much. She's not as immediate (not to say that Julia is particularly so), but very rewarding. No Age is another band that makes great use of noise, but in a much more experimental, maybe even "arty," way. This is their fourth album and is being touted as their protest release. I remember seeing them for the first (and so far only) time at Pitchfork two years ago and was amazed at the sound they were able to put out with just two members. I've read that this release is minimal in comparison to past albums, though. That makes me a little nervous, but I'm always up for seeing how musicians evolve their sound. 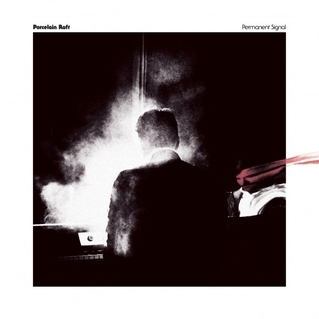 Porcelain Raft is another new act for me; and whose name has floated around on the websites and in the magazines that I most read. This isn't a band, rather the project of Italian musician Mauro Remiddi. 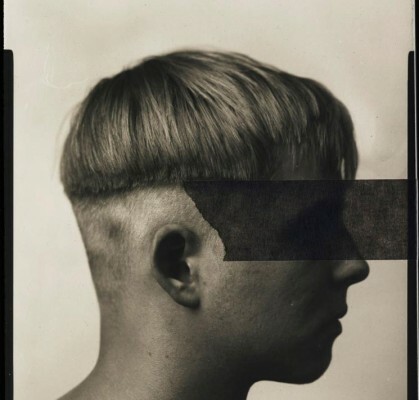 It is his second album under the name and features even more of the dream pop sound that made him so acclaimed after his first album, Strange Weekend. I hope to discover what made so many others love his music. Neufeld is a member of one of the latest indie bands to come out of the "underground" and gain a more mainstream following, Arcade Fire! In that band, she plays the violion (as well as providing some backing vocals). While that band should be releasing a new album later this year, Sarah is releasing her first solo record. In contrast to music she's released with her various bands, this is an instrumental album. It's always interesting to see how these musicians translate their sound when they lose the vocals. 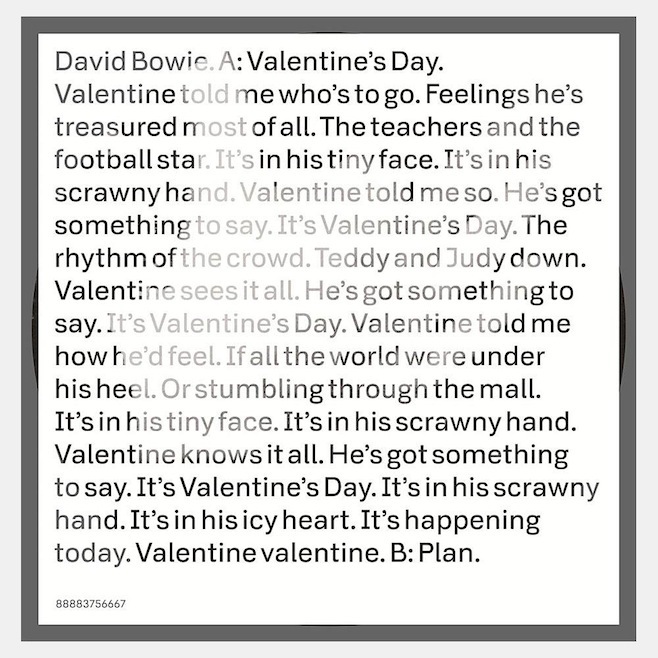 David Bowie - "Valentine's Day"
David Bowie proved that he's still got it when he released The Next Day earlier this year. In support of the album, he's released a number of songs with excellent music videos attached. Despite his break from recording new music, he made sure that fans really knew he was back. This is the latest single from that record. I know it's coming a few months too late, but it is a great song! When The Lumineers released their debut album last year, they gained a lot of fans... and a lot of detractors. They're the type of band that I typically stall on checking out (yes, because of their popularity), but once I'd heard a few songs, I really started to like them. Re-releases aren't my favorite thing, especially when they come so soon after the initial release. But they often provide a way to hear newer songs from the band. When it comes to identifying new music that I might like, I have several trigger words. Once of those is James Blake, who was used as a comparison for this band. It may not be much of a secret, but I love Blake's music, so I was interested to see just how this act stacked up. I listened and...they're not so bad! Similar to Blake, yes, but doing something fully unique as well. 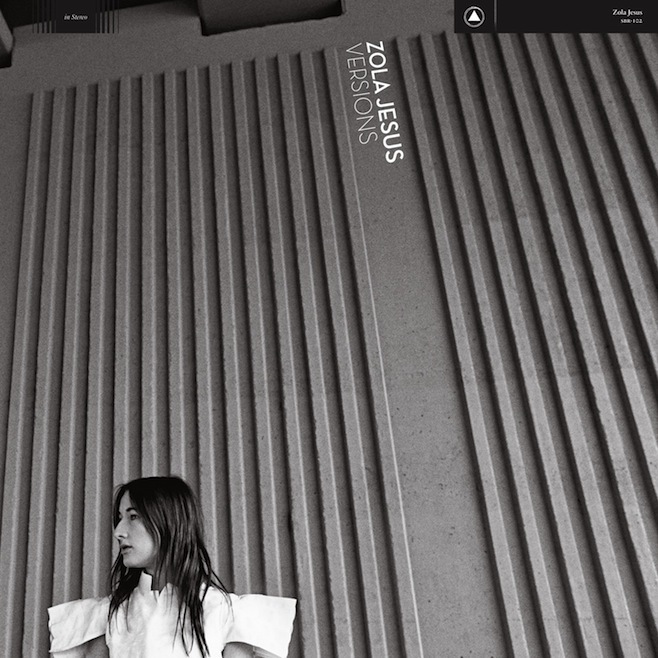 Zola Jesus released her excellent third album, Conatus, about two years ago. This follow-up consists of versions (see what she did there?) of songs on that album, recorded with JG Thirlwell and the Mivos Quartet. She is interpreting her past releases in a neo-classical style, so this should be pretty interesting for fans. 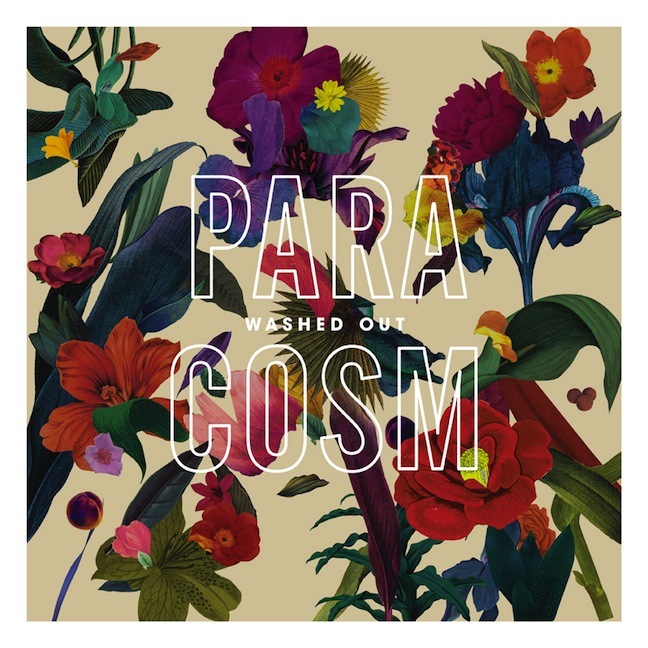 It's been two years since I first fell in love with Washed Out and his debut album Within and Without. I even loved him enough to get a poster version of that album artwork framed in my apartment! Chillwave's big moment in the sun may have passed with the year 2011, but its representative artists are still releasing great music, and really pushing what the portmanteau genre can be! I have no clue what the current status of this band is. Last year, there were rumors of a break up and even talks of the band members replacing lead singer Kele Okereke. Then, it was announced that it was all a ploy or a joke and the band wasn't going anywhere (though they had been on "hiatus" since 2009); they even released a new album and EP last year. Well, it's recently been announced that they are going on hiatus again, though not before pushing out one more release. When The Vaccines released their first album, What Do You Expect from The Vaccines?, in 2011, they seemed to be a continuation of the British style of indie rock, that is, post-punk revival music. Though the results haven't been my favorite, they've grown their sound considerably since then. I can appreciate the changes, though, especially with other British indie rock bands like Franz Ferdinand and Babyshambles releasing albums later this year that may closer fit the old formula. Listen: "Everybody's Gonna Let You Down"
Franz Ferdinand has been one of my favorite bands since high school because they've been fairly consistent in their sound and quality. They're about to release a new album and this video has me wondering if they're reaching back to where they started, it's awfully reminiscent of "Take Me Out" (it was directed by the same person, Jonas Odell)! Franz Ferdinand will release their next album, Right Thoughts, Right Words, Right Action, later this month. Future Wife is the musical project of artist Young Jean Lee. It is based on her live show, which consists of a series of monologues and songs about life and death. Whereas, in her live shows, she read the monologues, she has invited a number of other artists to read for the album. 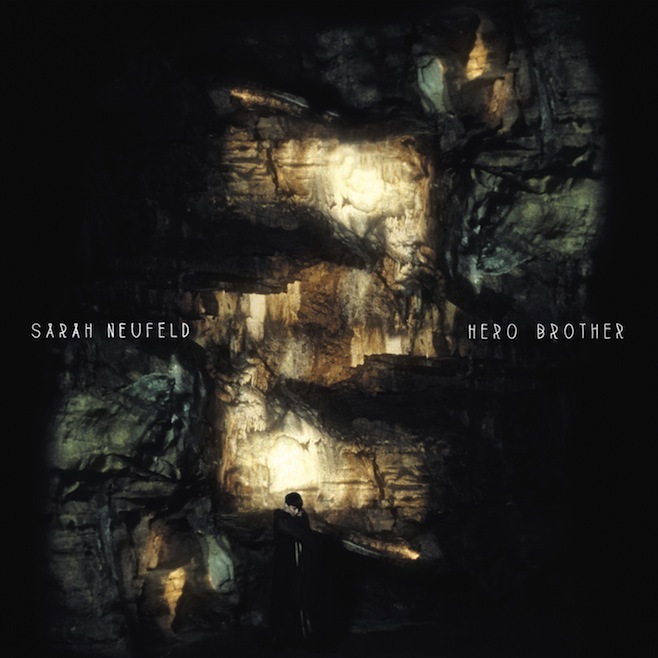 This includes Sarah Neufeld (who is also releasing an album this year), David Byrne and Ad-Rock, among others. Moderat is a electronic music band made up of two other electronic acts, Modeselektor and Apparat. The combined act released their first self-titled album in 2009 to a fair amount of acclaim. Although both bands have released albums under their original monikers in the years since, they are back with a follow-up. Though I'd heard a lot about them, I had never really checked them out until I heard and fell in love with the lead single from this record! Pond is also an off-shoot of another band, in this case it's psychedelic rock band Tame Impala. They've been more prolific than their sibling band, releasing six albums compared to Tame Impala's two. 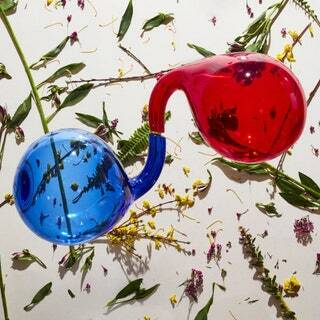 Though they are similar, they've taken on a more disjointed, raucous sound. They show no signs of taking it slow after this record; the next album, Man, It Feels Like Space Again, has already been announced. Desaperacidos - "Te Amo Camila Vallejo"/"The Underground Man"
Conor Oberst has had a lot of music projects. He's performed under his own name, most famously as Bright Eyes, and in the supergroup Monsters of Folk (that's not everything, just summarizing). Desaperacidos is a punk band started in 2001, though he only released one album in the project before disbanding a year later. They got back together last year for a pair of politically-tinged singles and they're at it again this year. 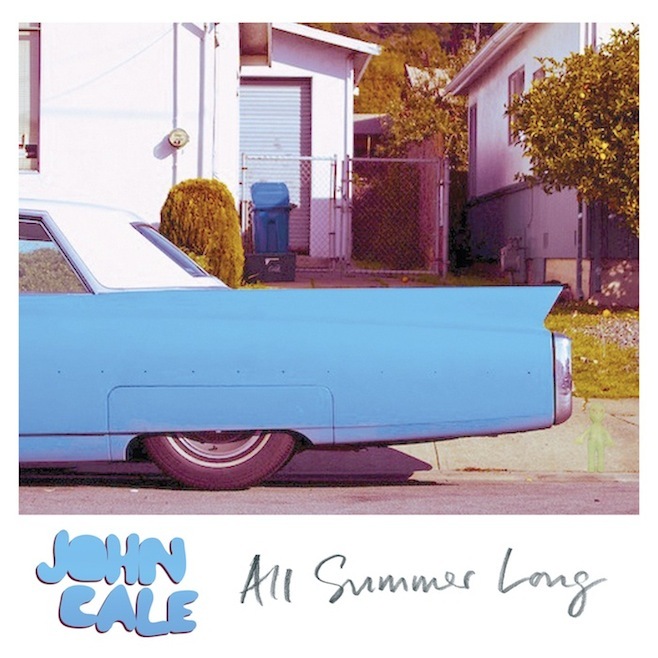 Listen: "Te Amo Camila Vallejo"
John Cale - "All Summer Long"/"Sandman (Flying Dutchman)"
John Cale released his latest studio album, Shifty Adventures in Nookie Wood, in October of last year. As is often the case when artists release albums, there were tracks recorded during the same session that did not make it to the final cut. "All Summer Long" is just such a track. It seems more appropriate to release it now than in the midst of autumn! Lil Silva is a London-based grime producer. Being London-based these days seems to mean working with a group of other hot British artists. In Lil Silva's case, that includes Rosie Lowe and Sampha (who's released his own EP recently). This is the second time Lil Silva has recorded with Sampha, previously working with him on the single "On Your Own." 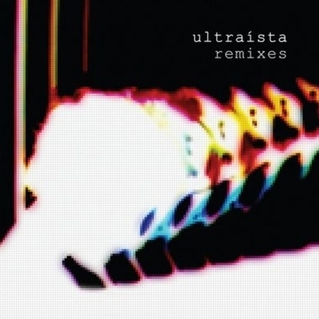 Ultraista, a side project of Radiohead producer Nigel Godrich, released their debut album last year. As seems to be a requirement over the past couple of years, the album is getting the remix treatment. 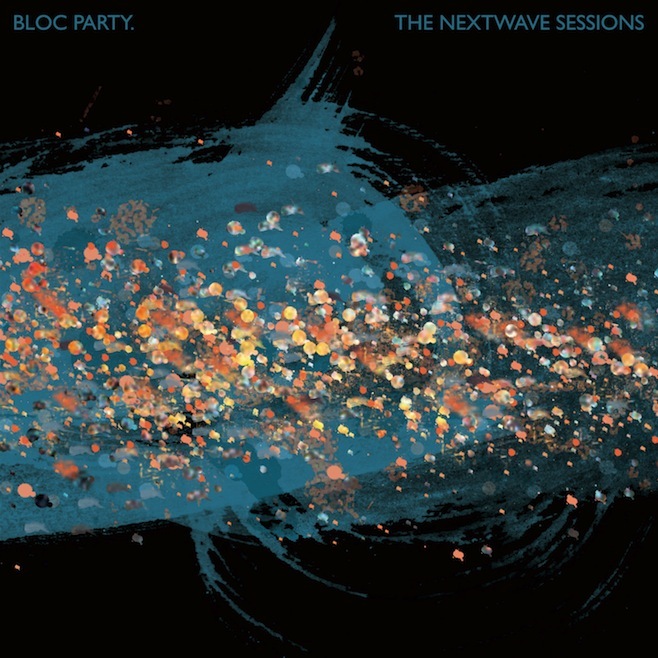 Various tracks from the album are getting remixed by the likes of Four Tet, Chvrches and Zero 7. What?!?!?!? Jamie Lidell filmed a music video in Cincinnati and NOBODY told me? And he didn't even do a concert while he was here? That's just unacceptable! Whatever, it's still pretty cool that he gave my city some "Big Love!" Jamie released his self-titled album in February. Mud follows two adventurous young boys, Ellis (Tye Sheridan) and Neckbone (Jacob Lofland), living in Arkansas. They stumble upon a boat left high in a tree (as a result of flooding) on a nearby island and decide to make it their fort. They discover that it's being used as a make-shift home by the fugitive Mud (Matthew McConaughey). In exchange for a pistol, the boys agree to help Mud get into contact with a former girlfriend, Juniper (Reese Witherspoon). The boys bring Mud food, retrieve parts to fix the boat and help him get in touch with Juniper. On top of that, they help him avoid detection by a group of thugs hunting him down. This may be one of my absolute favorite movies so far this year! I was a little wary going in; McConaughey can be hit or miss and I've never been a huge fan of Witherspoon. Plus, you never know what you're going to get from kid actors. But everyone in the film made an already-interesting storyline really come to life. Plus you never go wrong letting McConaughey pretty much play himself (yes, he took his shirt off in this movie)! The Beach Boys - "Help Me Rhonda"
Smoke Up Johnny - "Sunday Beer"